Here we are in the first week of tax return season. While Internal Revenue Service (IRS) employees are trying to catch up on things curtailed by the government shutdown, the minions in scam land have already reared their ugly heads. The Kentucky Attorney General’s office reports that his office recently worked with a Clark County (KY) resident who sent $9,900 to an IRS scammer in the form of Google Play cards -- a ploy that made news over the 2018 holiday. The scammer was so heavy-handed in this situation that they resorted to arrest threats if the victim didn’t cough up the ransom. Nine thousand dollars lighter, the victim is now working with Beshear’s office, and has signed-up for Scam Alerts to avoid future victimization. The newest scam is the Form W-2 scam, a niche-driven heist where someone posing as a debt collector calls the taxpayer, tells them a refund was mistakenly deposited into their bank account, and then asks that the money be forwarded to the so-called debt collector. “File taxes today to prevent scams, and keep an eye out for your return. Many of these scams rely on you not having filed your tax return yet,” Laffoon said -- meaning that if an email pops up in your inbox asking you to file your taxes after you already have, it’s a dead ringer for a hoax. The agency has prepared a quick video (shown below) that describes what consumers should be on the lookout for. 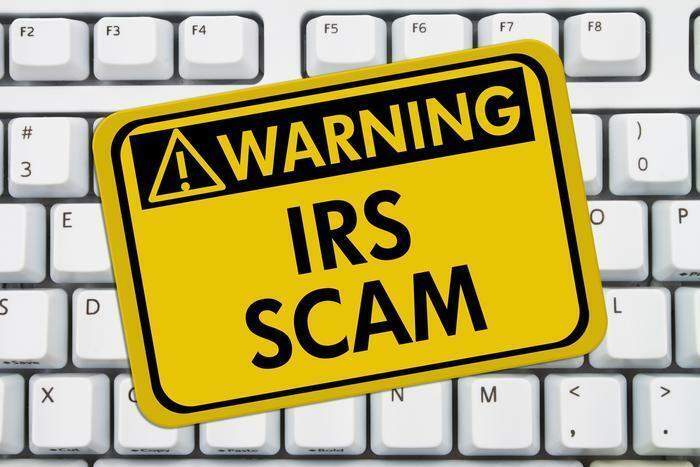 However, if there’s anything that seems fishy, the IRS is a phone call away at 800-908-4490 and provides a complete set of scam-related FAQs -- including its “Dirty Dozen” list -- online.